TechInAfrica – Miss.Africa Initiative through DCA Academy has announced a seed funding to encourage African females in the fields of Science, Technology, Engineering and Mathematics (STEM). The funding aim at expanding their own initiatives to drive more opportunities in accessing IT training, leadership roles, and jobs. The first category of 2019 Digital Seed Funding worth US$5,000 and an assist to start their initiative or expand their capacity. The second category will grant a US$1,000 of funding for two winners from emerging African countries. This funding is expectedly able to create socio-economic value for African women by uncovering tech opportunities. Able to presence past experience regarding activities supporting women and girls in computer science or STEM fields. The proposed projects must have a potential impact on women and girls in computer science and/or STEM fields. The Seed Funding targets projects that focus on under-served communities and areas, a collaborative approach, and a high potential for growth and demonstrate innovative use of technology. The seed funding seeks out eligible projects including; female workshops and trainings in computer science; an early-stage of female tech entrepreneur incubation; programming and app development training programs; and hackathons and coding boot camps for girls. 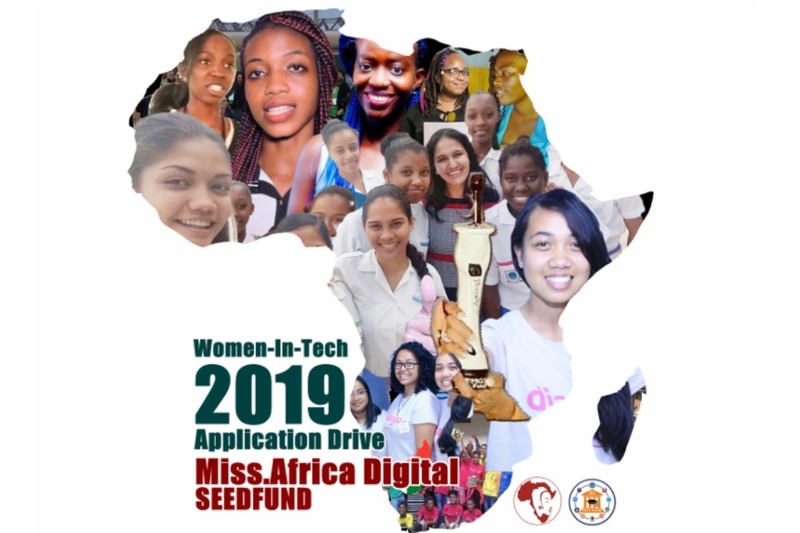 Miss.Africa Digital Seed Fund has already opened since March 10, 2019, and the deadline is on June 2nd, 2019. The winners for Round IV of Miss.Africa Digital Tech Seed Fund will be announced somehow in September. For further information about Miss.Africa Digital Seed Fund and to apply, please click here.